Donald Trump has confirmed he will be leaving his businesses to his sons before the inauguration. The president-elect made the announcement on Twitter, just hours after he delayed the much-awaited press conference where he would outline his 'total' withdrawal. He said Donald Jr and Eric will be running his vast, multi-billion dollar operations - but insisted that no 'deals' will be done while he is in office. It also confirms indications that his eldest daughter, Ivanka, has chosen not to be involved in the running of his numerous companies. On Monday night, he wrote: 'Even though I am not mandated by law to do so, I will be leaving my busineses before January 20th so that I can focus full time on the presidency'. Earlier on Monday, Trump transition spokesman Sean Spicer said the announcement about the future of his business holdings had been pushed back to January. Trump has said repeatedly he will turn the business over to three to Eric, and Donald Trump Jr. He has faced a series of critical reports about the array of potential conflicts he might face while serving in office and maintaining ownership of an empire he has valued at $10 billion. Among the foremost potential conflicts are a D.C. luxury hotel that foreign diplomats have expressed interest in booking, a New York property with a Chinese bank as a tenant, and hotel deals overseas in Turkey and Qatar. Bloomberg News reported that Trump wanted the delay to focus more on cabinet appointments and setting up his government. 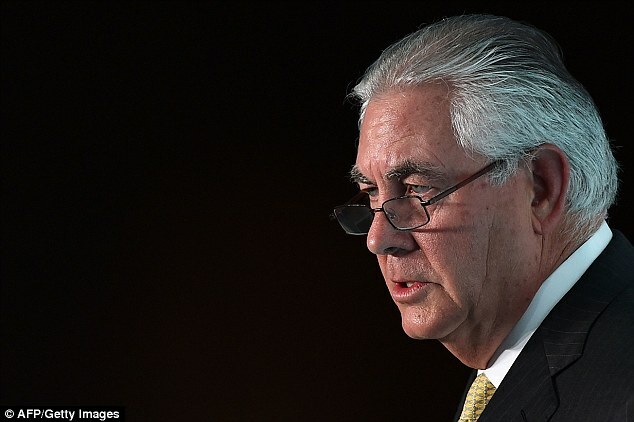 He has yet to formally announce his secretary of state pick, but reports late on Monday night suggested ExxonMobil CEO Rex Tillerson would be named. Trump has stressed that it is much more challenging to try to sell real estate assets that stocks. His transition revealed that he sold his $40 million stock portfolio in June, without providing documentation. His comments since have indicated that he may well maintain ownership of the business, but step back from day to day operations. He has previously said he would put the business into a 'blind trust' but let his family run it, which generally isn't considered blind. Trump said on Fox News Sunday with Chris Wallace that he has turned down a billion dollars in offers, including 7 offers from a single individual. 'If I were really going to do new deals right now –I am turning down billions of dollars of deals,' Trump told host Chris Wallace on Fox News Sunday when pressed about his array of business interests and potential conflicts. 'I turned down seven deals with one big player, great player, last week, because I thought it could be perceived as a conflict of interest,' Trump said, without specifying who made the offers. House Oversight Committee Democrats are planning a hearing on Wednesday about Trump's business and potential conflicts. Trump rejected suggestions from Wallace that foreign countries booking events at his D.C. hotel could be a way to curry favor. 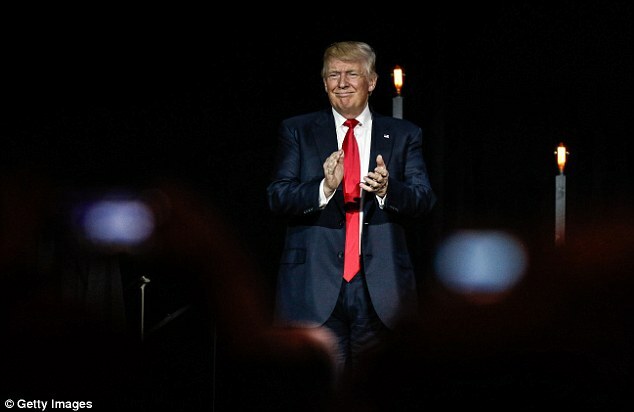 'I will tell you, running for president – the money I spent is peanuts compared to the money I won't make, and that's okay, because this is so important,' Trump said, in reference to the $60 million he poured into his successful campaign. 'What I'm doing is so important. This is a calling,' he added. Describing his time in office, he said: 'I'm not going to be doing deals at all. Now that would be – I don't even know if that's a conflict. I mean, I have the right to do it. You know, under the law, I have the right to do it. I just don't want to do it. I don't want to do deals, because I want to focus on this,' he said.